If you love purple gemstones or know somebody who does, but want to shop for something a little more interesting and unique than amethyst, charoite is a great alternative. This gemstone is chatoyant and features marvelous patterns of swirls which can be quite entrancing. 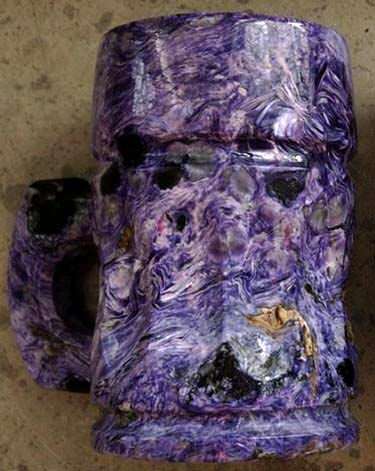 Charoite is a rare silicate mineral with the formula (K(Ca,Na)2Si4O10(OH,F)·H2O). So far, it has only been discovered in Siberia. Because it is hard to come by, is significantly more expensive than a lot of other semi-precious gemstones. The properties of charoite are quite remarkable. 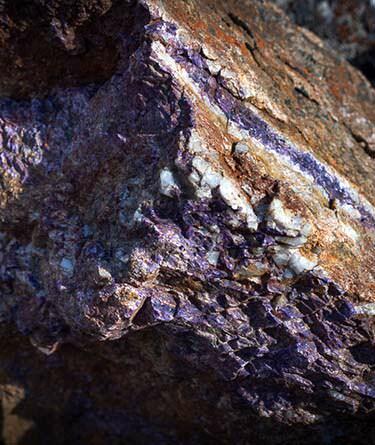 On the Mohs scale of hardness, charoite rates a 5-6. The fracture is always conchoidal, and the crystals are always fibrous. An example of these fibers can be seen further down this page. Where charoite stands out is in the unique patterns of swirls which streak across its surface. These patterns are the direct result of the fibrous texture. The translucency of the stone adds a sense of depth to these patterns, so that they appear like layers of swirling clouds or feathers. 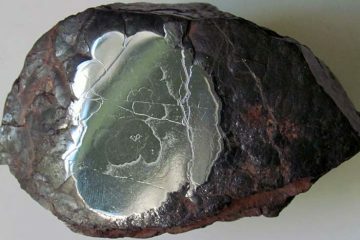 Another trait which charoite exhibits is chatoyancy. This is the same visual effect which is more commonly associated with highly recognizable gemstones such as tiger’s eye and cat’s eye. When you turn a stone with chatoyancy in your hand, light seems to shimmer and skip across the surface, producing an almost 3-D effect. This, combined with the swirling patterns and the vibrant color of charoite, lends an almost pearly, silken luster to the stone. In fact, the effect is so dramatic that many people who see charoite assume that it has been unnaturally enhanced, or that the stone is completely synthetic. In terms of color, charoite is usually a bright, warm purple. In some cases, you may find stones which exhibit cooler hues closer on the spectrum to true violet. Charoite may be a dark purple, or it may be light enough to be called lavender. In some cases, the hue is closer to pink. You will always find a range of hues and tones in a single charoite gemstone, owing to the fibrous structure and the swirling patterns on the surface. Interestingly enough, when found in nature in its raw form, charoite is not the most recognizable gemstone. In fact, often it looks like a fairly dull rock. It usually takes polishing to bring out the beautiful textures, patterns, and colors which make charoite so distinctive. 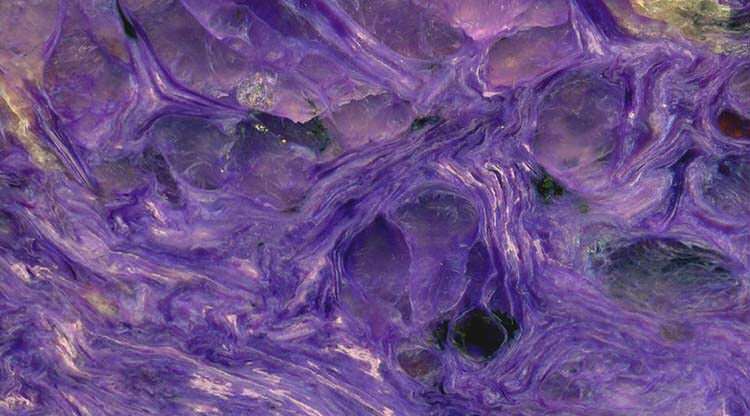 This may be one reason why charoite was not discovered until relatively recently in history. 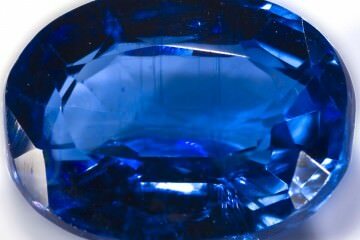 As this is a rare and beautiful gemstone, it does not have any industrial uses. It is however ideal for setting in jewelry, because it polishes so nicely and because it is relatively hard and therefore durable for daily wear. Charoite is also sometimes simply displayed by gem collectors. Now let’s talk about everything you need to know to buy charoite! Charoite is readily available and very affordable, and makes a wonderful gift for yourself or someone special. Despite its rareness, charoite is not a very expensive gemstone. A single carat will not run you more than a few dollars. Charoite is available in larger pieces, which makes it a great focal point for pendants, earrings, and rings. Because this is not a very well known gemstone, you’ll notice that most pieces are made by small jewelry companies and individual designers. The price you pay for jewelry featuring charoite reflects the quality of the craftsmanship, rather than the price of the gem itself. While charoite is not something you will see for sale at your typical commercial jewelry store, you will find plenty of charoite jewelry for sale if you are looking online. You will notice that on the whole, it is very affordable. You won’t find a lot of charoite engagement rings, because this is not a sparkly stone which is ideal for faceting. It looks best tumbled and polished. Still, there are a few options for charoite engagement rings, typically with small diamonds forming a border around a charoite center stone. Charoite is reasonably hard, and therefore it can hold up to everyday wear. You do not need to worry too much about it breaking, though it is still far softer than diamond or topaz and needs some extra care. The bright purple hues of charoite are spectacularly eye-catching. They are so vibrant that they look like they have been enhanced, even when they haven’t. You are not going to find a gemstone with a more unique luster or more captivating patterns across its surface. Not a lot of gemstones feature such a striking combination of chatoyancy, translucency, and fibrous depth. Charoite makes for an excellent conversation piece. 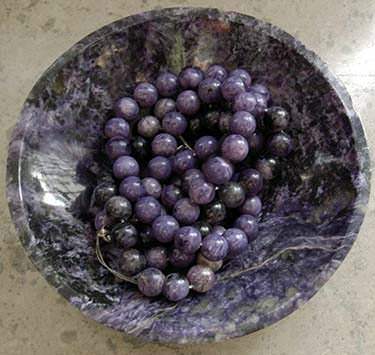 If you wear charoite jewelry, you will get plenty of people asking you what kind of stone it is. And even though charoite is inexpensive, it gives the impression of being quite expensive. For such a rare gemstone, charoite is surprisingly affordable. You will not have to pay an arm and a leg even for a larger piece. Charoite, as just mentioned, is not expensive. Why is this a drawback? Well, if you are thinking about buying it for someone as a gift, especially if you are looking at it as an option for an engagement ring, you are going to find it does not make the same statement as a diamond. Because charoite is relatively rare, you will not have as many options for a ring or other jewelry item as you would if you were shopping for a more common gemstone. This is particularly true if you are looking for something traditional and commercial in nature. Speaking of traditional, charoite is most certainly not traditional. There are a lot of people who prefer diamond for an engagement ring, no matter how beautiful an alternative stone like charoite might be. Cleaning Charoite: Charoite rates a 5-6 on the Mohs scale of hardness, so it is harder than some gems but quite a bit softer than others. Its cleavage is not such that it breaks easily, but it can be scratched, so you need to be careful when cleaning it. Stay away from ultrasonic cleaners and steam cleaners. Just use warm water with a mild dish soap and scrub it gently with an old toothbrush. Once it dries, you may want to buff it carefully with a jeweler’s polish cloth. The surface can grow dull over time, and this will help maintain the luster. Storing Charoite: To avoid scratches when storing charoite, you will want to keep the gemstone in a separate pouch or lined box. It is also important to keep it in a cool, dark place. Heat and pressure can both cause changes in the gem. Wearing Charoite: The emphasis here is on avoiding scratches. Charoite is not all that likely to fracture, but you still should be careful not to drop it. Do not wear it while you are exercising or doing work like washing dishes. Put it on only after you have applied your cosmetics. You do not want to get any harsh chemicals in contact with the charoite. Charoite is one of the more recently identified gemstones, so it does not have a very long or rich history—at least not one which can be confirmed. 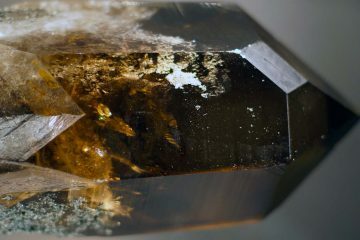 It is only found in Siberia, so the stone did not historically enjoy a wide geographic distribution. Just when was charoite discovered? Gemologists are not entirely certain. It is believed that charoite was actually first found during the 1940s, but it was not identified properly until 1978. It was only then that it became a commercial success shipped to buyers around the world. You may be wondering what the origin of the name “charoite” is. The stone’s name is derived from the Chara River. This river runs close to first deposit discovered. Even though charoite is only found in that locale in the Sakha Republic in Russia, it is easy to mine and the deposits are substantial, which is why it remains so cheap. Do not get too comfortable with charoite’s low prices, however. There have been rumors that the mines in Siberia may soon be depleted. If that should happen, charoite will no longer simply be rare—the world’s known supply will be restricted to what is already on the market. When that happens, you can expect the price to skyrocket. Just how much of a danger is that? It seems likely that if most experts believed the charoite were really that close to depletion, the price would already be soaring. So it is unlikely that it will happen for a while yet, but it is far from impossible. So this is a great time to get charoite while it is cheap! Charoite is a gemstone which is associated with change and new beginnings. Practitioners believe that charoite helps to enhance perception by allowing users to spot new possibilities while looking at old patterns. It is also believed that it is a good stone for creating positive transformation under troubled circumstances. This makes it a good gemstone for those who suffer from anxiety. 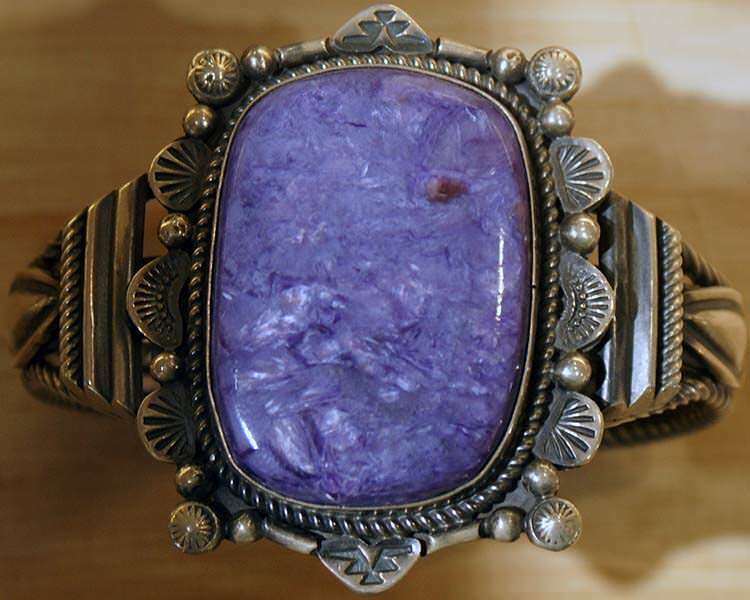 Charoite’s purple color means that it tends to be associated with the crown chakra. This is why it is connected to higher vibrations and can help move you up to an elevated energy level, clarifying your aura and sharpening your thinking. Charoite is also associated strongly with the heart chakra, which is why it is such a good choice for balancing emotions. A stunning piece of polished charoite. A piece like this is still very affordable and will look amazing in your mineral collection or as a showpiece. Charoite has an unmistakable appearance, so it is unlikely you’ll confuse it with any other gemstones. It is also inexpensive, so it is not as if you need to worry about cheaper gemstones being substituted for charoite by untrustworthy vendors. There are however a few gemstones with similarities to charoite. You may want to check them out simply for reasons of geological interest. Tiger’s eye: This is probably the most famous gemstone to exhibit the chatoyancy effect. It is a silicate metamorphic rock which exhibits a silky luster in a range of reddish and brownish hues. Tiger’s eye is beautiful, but it is also very common and inexpensive. You can find it at most rock shops. Hawk’s eye: This gemstone appears similar to tiger’s eye, but is generally a bluish-grayish color instead of brown. Like tiger’s eye, it is chatoyant. The two are actually very close relatives. Both are pseudomorphs of quartz which started out as crocidolite. 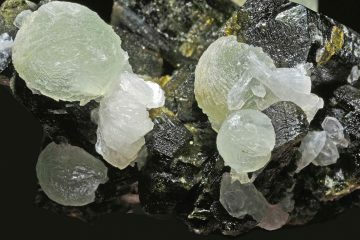 Over a very long period of time, the crocidolite transforms into quartz, leaving behind traces of iron oxide. Crocidolite is blue, so when there is not a lot of iron oxide left over, you get blue hawk’s eye as the resulting pseudomorph. If there is a lot of iron oxide, it changes the color to brown, resulting in tiger’s eye. Pietersite: This remarkable gemstone is one of the most similar in appearance to charoite. 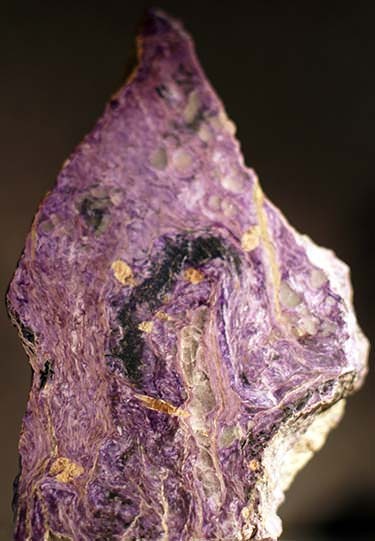 Like charoite, it includes the same chaotic swirls and patterns across its surface, and also showcases a chatoyant luster. You could never confuse it with charoite, however, because unlike charoite, it is a combination of blue and brown colors! In fact, pietersite is simply composed of a combination of tiger’s eye and hawk’s eye. 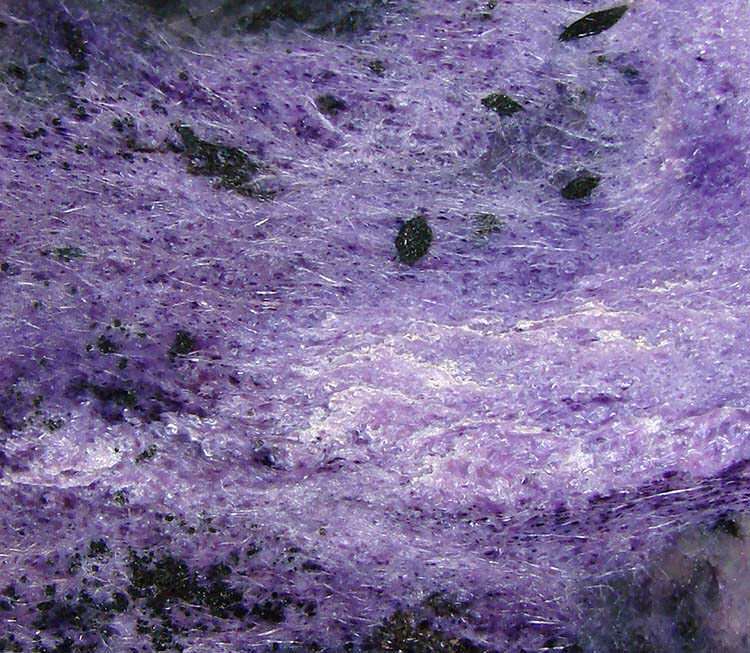 Sugilite: This gemstone is a vivid, warm purple color which is quite similar to the hue found in charoite. Once again, though, you would be unlikely to ever confuse one for the other, because sugilite does not feature the swirls or chatoyancy of charoite. These are really the only gemstones which bear a close relation in terms of appearance to charoite, and as you can see, they are not all that similar. Charoite is a genuinely unique gemstone, one which instantly draws the eye and fires the imagination. It’s a beautiful choice for jewelry and also makes a great display piece for a mineral collection.